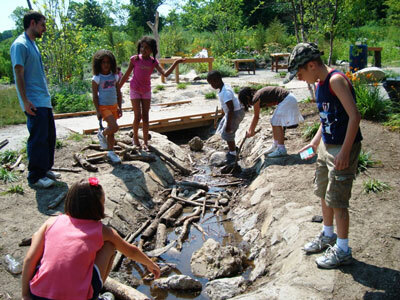 The Boston Nature Center (BNC), located in the Boston neighborhood of Mattapan, is a 67 acre community-based education center and wildlife sanctuary located at the formerly abandoned site of the old Boston State Hospital. Its visitor center, the George Robert White Environmental Conservation Center, was the first municipal “green” building in the city. This “building that teaches” incorporates photovoltaics, geothermal climate control, solar hot water, and many other energy efficiencies. Education is at the core of BNC’s mission. 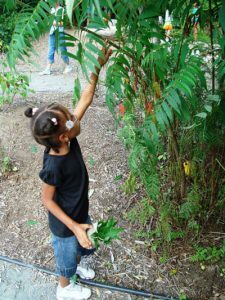 While located in a densely populated urban area, we invite local residents to discover that nature is everywhere-as near as their yard, a neighborhood park, a local schoolyard, or at the BNC sanctuary. 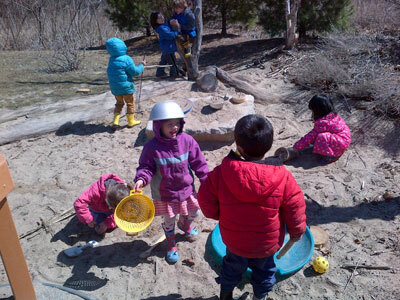 This is an outdoor natural learning space which gives program participants and public visitors an opportunity to investigate the natural world in a safe and accessible manner. 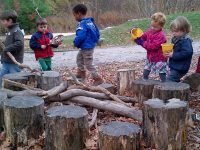 It offers a bridge to the outdoors where curiosity, imagination, and unstructured play may be experienced and where stewardship of the environment may develop. 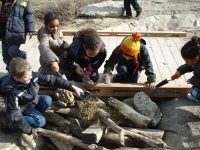 The Nature Nook is available for public use year round through BNC sponsored programs, independent family visits, summer camp, school vacation programs, and field trips by schools and community centers.